Licensed in 1973, Marsha Sell has 46 years of successful residential real estate experience. Prior to joining Berkshire Hathaway Home Services, Marsha enjoyed an incredibly successful career with Coldwell Banker 43 years ago and become one of the company's largest producers, finishing #1 or #2 in the company from 1981 until she left the company in 2016. 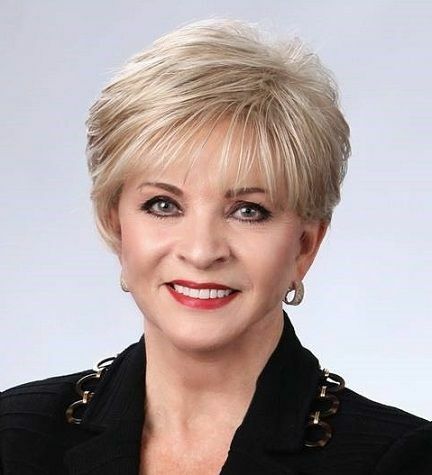 A member of the Atlanta Realtors Association, Marsha has received the Silver Phoenix, the award for making the Multi-Million Dollar Sales Club for 25 consecutive years. She was also awarded the Gold Phoenix, the association's award for achieving Multi-Million Dollar Sales Club status for 30 consecutive years and three years ago was awarded the association's highest level award, The Platinum Phoenix, for making the Multi-Million Dollar Sales Club for an incredible 40 consecutive years, becoming only the second agent in Atlanta history to be honored with the award. Marsha's success in Atlanta residential real estate market has earned her a reputation for excellence, both locally and nationally. Whether you want representation in selling your home at the highest possible price, or representation as a buyer in making the best investment decision, Marsha Sell has made real estate her business. With an organized system, a supportive team, and the desire to serve, Marsha Sell is the right choice for buying or selling a home! Keith Grogan spent 24 years in sales management with several Fortune 500 companies prior to beginning his real estate career. Keith and Marsha formed their partnership in 1999 and he works equally with buyers and sellers, maintaining a professional membership with the Atlanta Board of Realtors. Friendly, professional, and knowledgeable, Keith provides outstanding service to all clients. Keith is known to go above and beyond to make every real estate experience the most pleasurable! He has extensive knowledge of the GA real estate contract and outstanding negotiating skills. Prior to joining the Sell Team, Carl Sell spent a very successful career in the television industry from which he brought many years of marketing, advertising, and financial experience with him. He is primarily responsible for all financial aspects of the operation but contributes greatly to all marketing efforts. As a licensed REALTOR, Carl is able to fill in where ever he is needed. But most importantly, he has given Marsha the time to focus on what she does best, sell real estate. Prior to joining the Sell Team, Patty has worked in the technology field and more recently has moved into the real estate field working behind the scenes for some of the area’s top teams. As the team's Client Care Coordinator, Patty ensures our clients will receive a superior experience during every phase of the buying & selling process. She treats each of our clients as if they were part of her family and believes in going above and beyond to consistently exceed expectations. Her key to success is her commitment to honesty, integrity, hard work and patience.